GOT PROOF! The Ancestors Are Smiling. I recently returned from Chicago, where I was the keynote speaker and had a book signing at the 32nd Annual Family History Conference. The Afro-American Genealogical and Historical Society – Chicago (AAGHSC) theme was “Under The Vital Umbrella,” which focused on a broad selection of topics designed to enhance your research skills and protect your intellectual property. 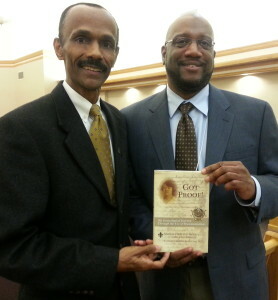 Among the other speakers was a fellow researcher, Melvin Collier, who I first met in 2008 at another genealogy event in Atlanta. At the time, Melvin had just published his first book, Mississippi to Africa: A Journey of Discovery(Heritage Books Inc. 2008). I was impressed to meet this young man who had been researching his ancestry for many years and was now a published author. I shared with Melvin my discovery of the manumission document of my 4th generation great-grandmother who was a former slave, born in French Louisiana in 1758, and gained her freedom in 1779 with the help of a French national. I learned that he was my 4th generation great-grandfather who had served in the local militia in Spanish Colonial Louisiana under the command of Louisiana Spanish Colonial Governor General Bernardo de Galvez. Fast forward five years, and I finally got around to following Melvin’s advice to tell my story when I published my memoir, Got Proof: My Genealogical Journey Through The Use of Documentation (The Write Image 2013). And there we were in Chicago, both speakers at a regional conference, encouraging others to continued with their research and tell their stories. 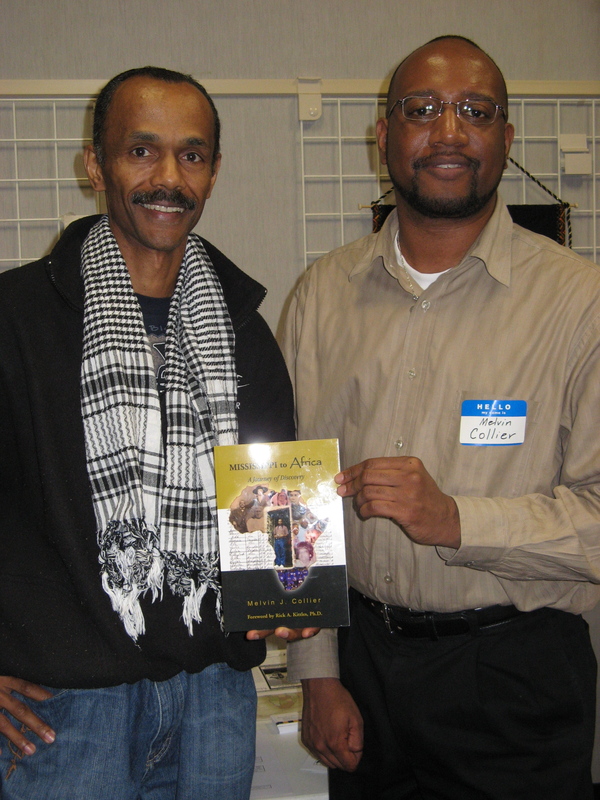 This time, I was honored to share and sign a copy my book for Melvin as he had done with me in 2008. 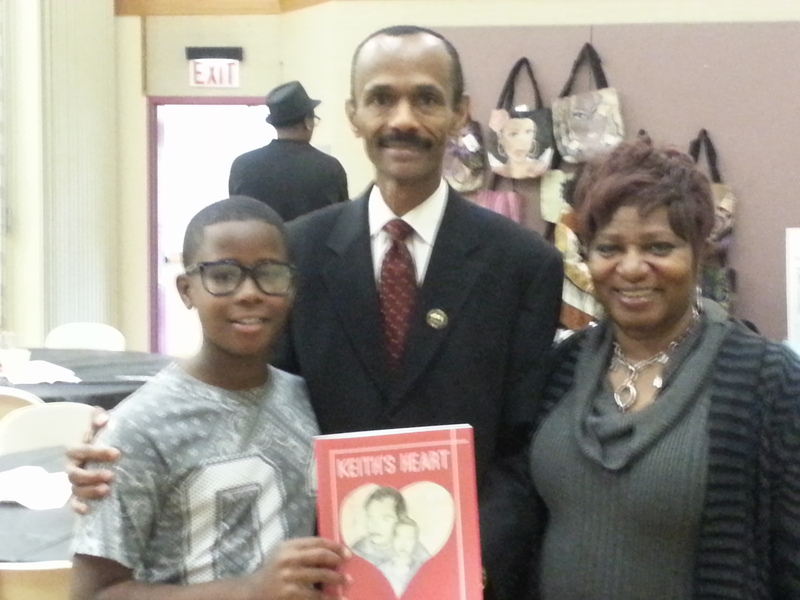 During my book signing, a young man approached me and asked if he could give me a signed copy of his book, Keith’s Heart. It was a special moment. This 9 – year-old author was attending the conference with his mom and had a table in the exhibit area where he was selling his books. Keith Whitted Jr. and Michael Henderson- Chicago Illinois 2014 GOT PROOF! 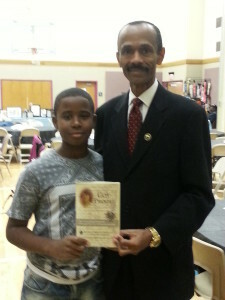 I was touched by his desire to share his personal story with me and with others. With that, I was moved to share with him a signed copy of my book. I felt that sharing our stories had brought one aspect of my publishing journey full circle, having been encouraged to write and publish by one author, and then seeing another young author pursue his publishing dreams. Genealogists and family historians have a tremendous opportunity to inspire others through sharing stories about our research and results. This AAGHS conference in Chicago gave three African American men an opportunity to inspire each other and many more with our stories. Indeed, Our Ancestors are Smiling.